Home / Celebrity / Nomzamo Mbatha / Nomzamo Mbatha LOVE LETTER To All South African Women With Her Latest Cover! Nomzamo Mbatha LOVE LETTER To All South African Women With Her Latest Cover! Nomzamo Mbatha Breaks New Ground With Her Latest Cover! It’s Monday but we’re crushing hard on the ever so hardworking actress, humanitarian and media personality Nomzamo Mbatha who keeps on disturbing the norm whilst changing the world one magazine cover at a time. 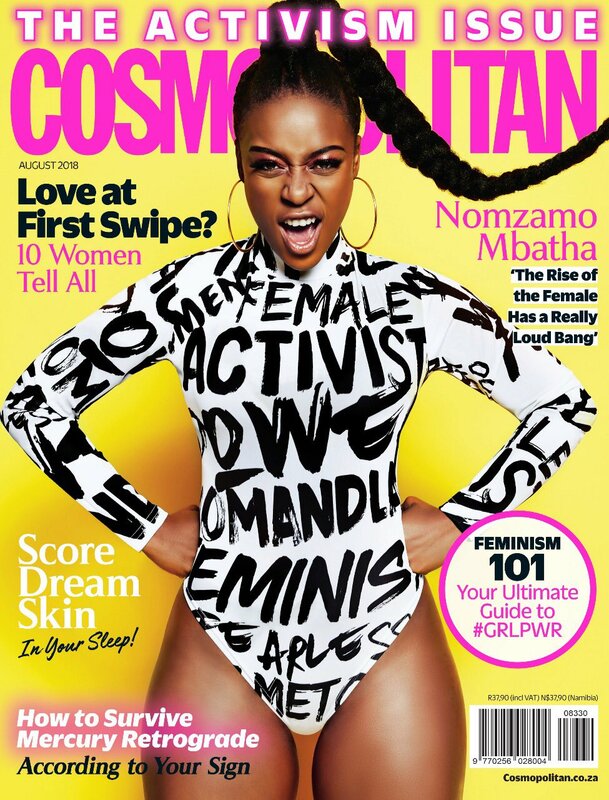 To celebrate Women’s Month (August), Nomzamo covers the Cosmopolitan SA Magazine with a groundbreaking Activism Issue. The first ever to do it. “Cut the pretty, let’s talk about the real stuff! The FIRST EVER #ActivismIssue in celebration of Women’s Month… an honour,” she wrote as she unveiled the powerful cover on social media.